Kushi Mehandi Designer of Hyderabad has a talented team of mehendi artists who can complete your bridal look with their exquisite designs. Complement your attire by choosing a design from their range of designs - staring from traditional to contemporary - and complete your look for the special day. 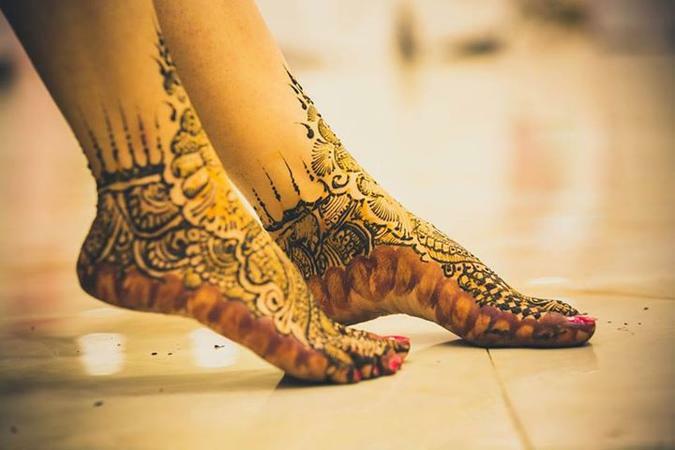 Kushi Mehandi Designer is a bridal mehndi artist based out of Hayat Nagar, Hyderabad . Kushi Mehandi Designer's telephone number is 76-66-77-88-99, address is Near Sahara Hotel, Hyderabad. In terms of pricing Kushi Mehandi Designer offers various packages starting at Rs 2000/-. There are 0 albums here at Weddingz -- suggest you have a look. Call weddingz.in to book Kushi Mehandi Designer at guaranteed prices and with peace of mind.